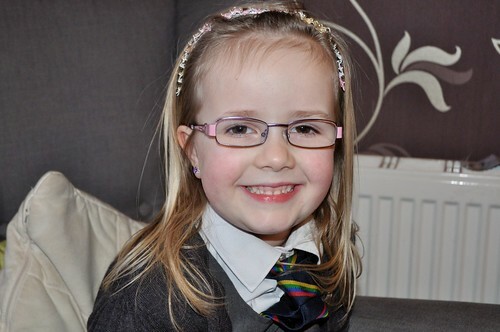 Anna loves her new glasses, a photo by PhylB on Flickr. Anyway this started out with a conversation I had today with Anna. Anna: Today in the playground I was talking to Euan and Rebecca about our mums. Anna: Well Euan said he thought his mummy was about 36 or 37. Rebecca said hers was 44 so I just told them that made me the winner because mine was already 45 and turning 46 tomorrow no less - they were all jealous that you won!